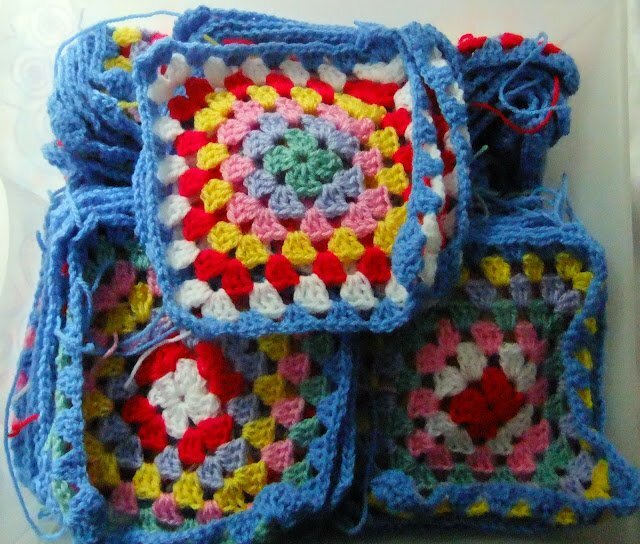 This week, I busied myself finishing off a lovely granny square blanket for Cumbrian Country Crafts. 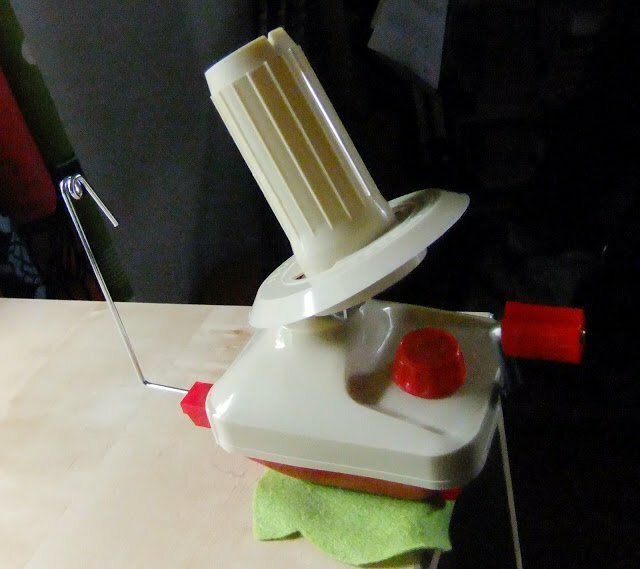 A few days earlier the postman brought a new yarn winder to my door. Woo Hoo!! 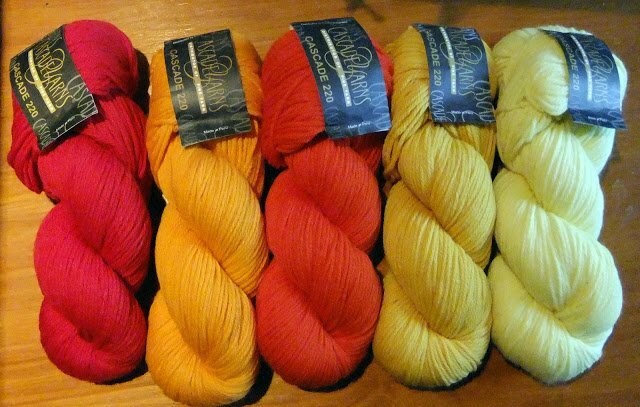 So, with my new yarn winder and trusty swift, I spent a good few hours making skeins into cakes. Happy days! 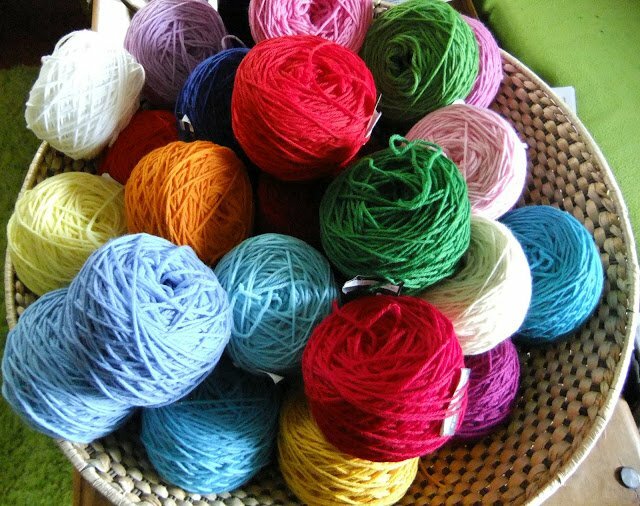 What am I going to do with all this wonderful yarn? I’m going to design things 🙂 Yes, at my tiny, itty, bitty desk, I settled down to work on designing squares. 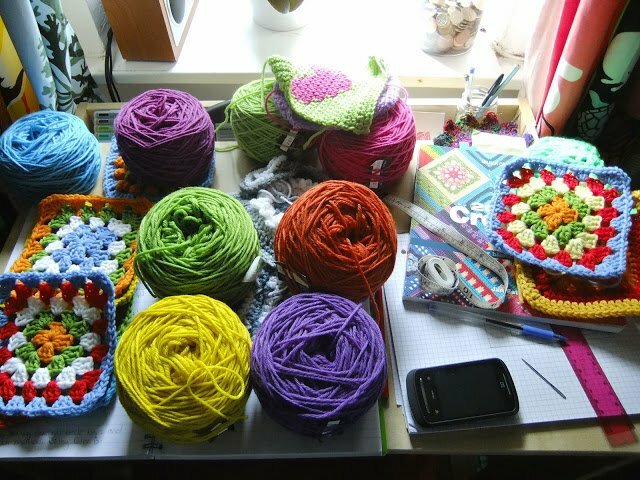 I’m sooo happy in my creative mess working with such gorgeous yarn. 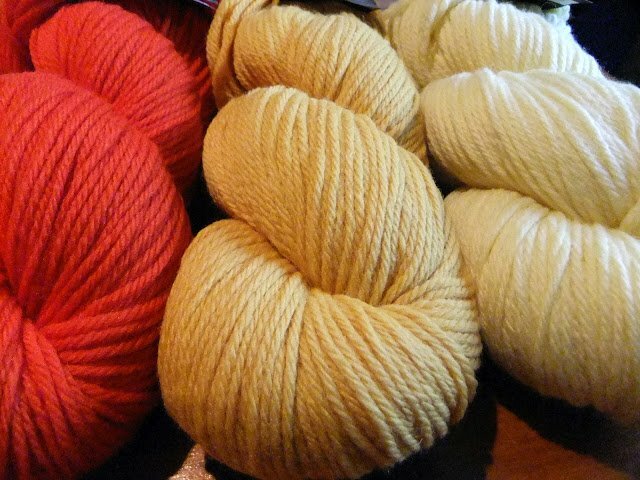 I’m spending this weekend playing with my fabulous yarn, thinking up new designs and popping out for short walks when the sun shines. Hope you are all having a wonderful weekend too. 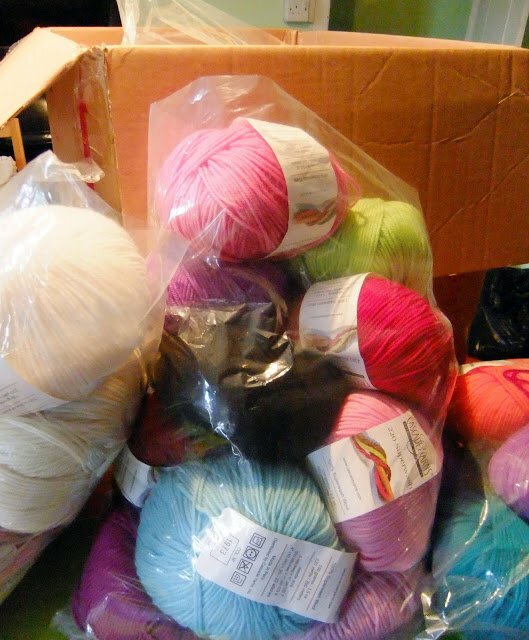 Knitting, knitting, knittingLiebster Blog Award – YAY! Dear friend, It is very nice to look your posts. 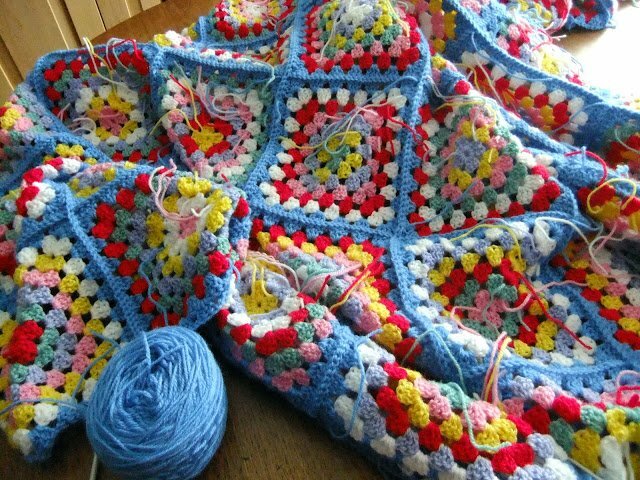 Your granny blanket will be very beautiful. you choose the colors of blanket very perfect. 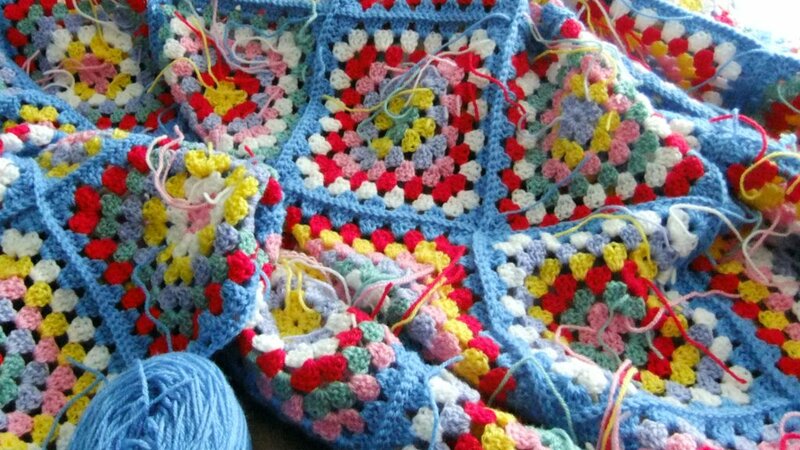 I am making a granny blanket but I have so much work to finish it..
Ooooo how splendid to open that box and find such scrumminess! Have fun with your designing, can't wait to see what you make. Enjoy your sunshine walks too! Love the colours! 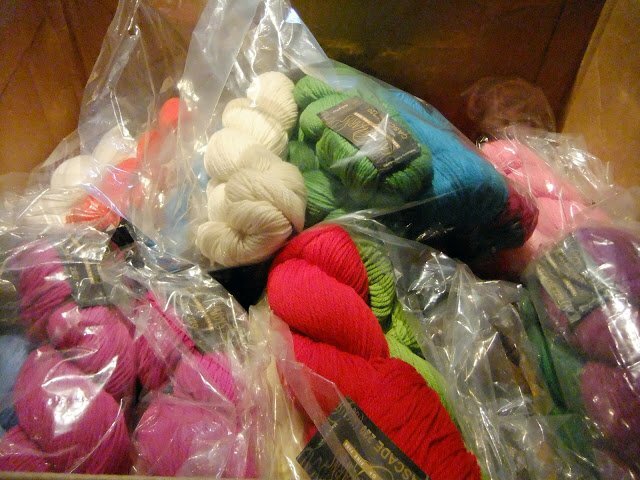 It's so great to open up parcels filled with yummy yarns. I have passed the Liebster blog award to you. 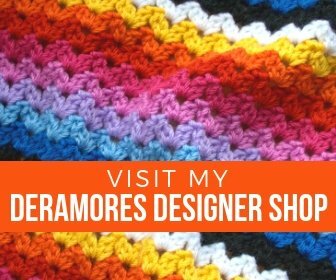 Visit me at http://my-world-of-colours.blogspot.de/2012/06/liebster-blog-award.html to read all about it. And do pass it on.